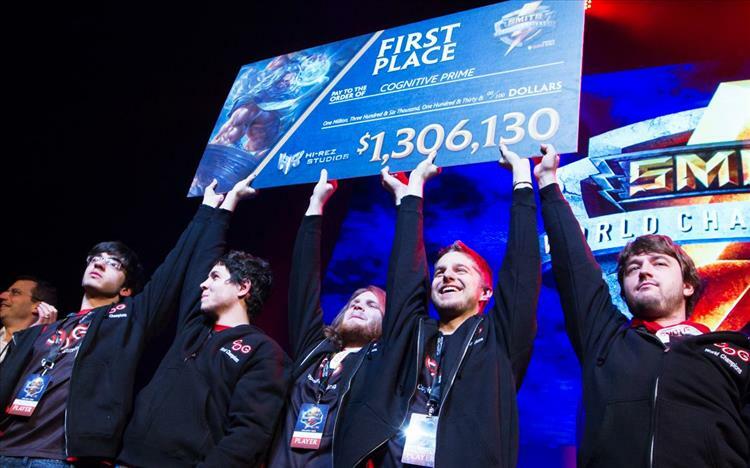 After three days of outstanding competition, it was North America's Cognitive Prime that walked away as the winners of the 2015 SMITE World Championship and also walked away with a cool $1,306,130. The runner up's, Europe's Titan did not go down without a great fight. In what most seemed would be a stomp, COG Prime took an early 2-0 lead in the best of five series. Titan however gave it their all and managed to win two games in a row to tie the series up and bring it to a game five. Their downfall however seemed to be letting both Ao Kuang and Scylla get through the banning phase, when put into the hands of COG Prime, turned out to make them an unstoppable machine. These past three days have been a roller coaster of emotion for me. I started playing SMITE in June of 2013 and It just blows my mind to see how far this game has come in such a little amount of time. SMITE has also completely changed my mind when it comes to e-sports. Before I was one of those people that would say "this is embarrassing, videogames are not a sport" because I had never found a game that I enjoyed watching. After attending the North American Championships in person and watching the World Championships live this weekend, I am 100% a supporter of everything e-sports. I have nothing but respect for all of these gamers who dedicate their entire lives to being the best and I cannot wait to see how SMITE e-sports and others will grow over the next few years. Be sure to check out all of this weekends action on SMITE's official Twitch channel. Stay tuned for more SMITE news as a new patch is planned for next week as well all of the changes coming to SMITE as season 2 of the game will begin later this month.